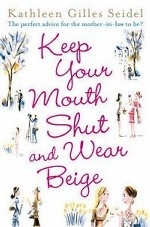 Аннотация к книге "Keep Your Mouth Shut and Wear Beige"
Darcy van Aiken is doing very well, thank you. She’s an ICU nurse with an ‘amicable’ divorce from ex-husband, Mike, two great kids, and a prescription for Ritalin. Then her older son, Jeremy, gets engaged to Cami Zander-Brown – daughter of a wealthy New York family – and her world turns upside down. The source of the trouble is not Cami’s elegant and accomplished mother, Rose. Nor is it in the form of Guy, her charismatic and wildly successful literary agent father. Instead, lurking in the shadows of Mike’s new life, is the beautifully dressed and highly manipulative Claudia. The Zander-Browns have money. Lots of money. The plans for their daughter’s dream wedding grow more fabulous by the day, and Claudia is loving every minute of it. With her perfect taste, she can’t help thinking she’d make a much better mother of the groom than Darcy. This wedding gives her the opportunity to entrench herself in Mike’s life, and take credit for the two sons Darcy has raised. It’s a battle for supremacy, and it takes all of Darcy’s courage and determination to outwit the determined Claudia. What emerges is a wonderfully delicious, hilarious and touching read about family, friendship and human behaviour.